It’s been a busy weekend with tonnes of cooking. Hubby (who currently thinks he is Hugh F-W!) decided to make a clay oven to cook bread in. I’ll have to be honest I was impressed with the bread he managed to cook in it. The BBQ on Sunday went really well. Unfortunately not many photos due to me drinking quite a bit of pimms early on. 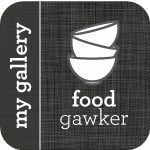 Focaccia – went horribly wrong and tasted awful. May be due to me not having enough strong white bread flour so topping up the recipe with wholemeal bread flour. Sweetcorn with Chilli butter – As inspired by Ginger. Pimms Cocktail – Pimms, pomegranate juice, raspberries & lemonade. As seen on the current Aldi Advert. Gin soaked watermelon – Never eaten due to the success of the Baileys Cheesecake! 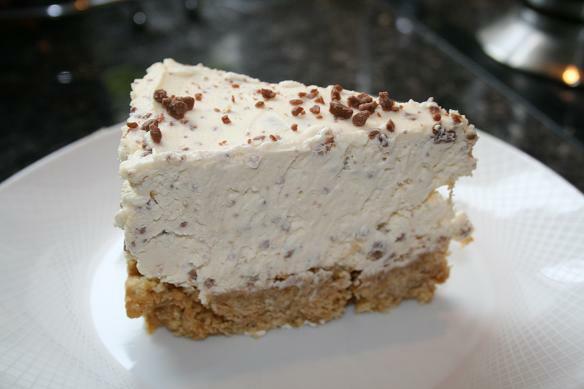 Baileys Cheesecake – I was originally going to do something like banoffee mess for pudding, but my mother-in-law mentioned on Saturday that I should try a recipe with Baileys. I have to say it was absolutely gorgeous. Even my mother-in-law who doesn’t eat puddings due to her diabetes insisted on having a slice! 1) Melt butter and mix with crushed biscuits until thoroughly covered. Press into 8in springform tin. Set in fridge for an hour. 2) Lightly whip cream cheese then beat in baileys and icing sugar. Gently fold in cream and chocolate. 3) Refrigerate for 2 hours. As I don’t really eat seafood I’ve never eaten sushi. 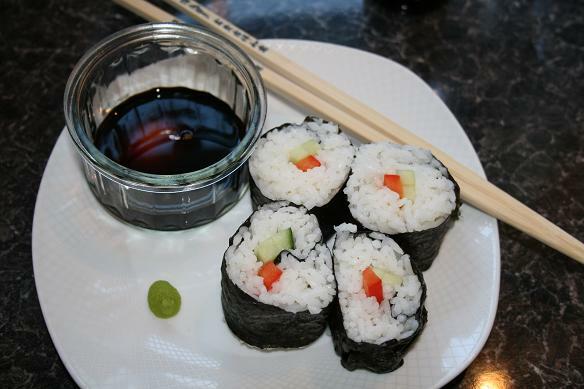 Veggie sushi is quite hard to find so I decided to make my own. They were easier to make than I thought. I put cucumber and pepper in the center of mine, whereas hubby is putting salami (?!?) in his. The recipe for them was on the back of the sushi rice packet so I’m not going to post it here as I think it varies depending on what rice you use. I really enjoyed them and will probably make them for lunches. Although the wasabi was probably the spiciest thing I have tasted in my life, I liked the taste. Tomorrow we’re having a BBQ and I’m really looking forward to it. I like being a hostess, plus it means hubby & I can drink and not worry about having to get home! With me being a bit overenthusiastic with this weeks ingredient challenge (the ingredient was only announced a few hours ago!) I decided to make sweetcorn fritters for lunch. 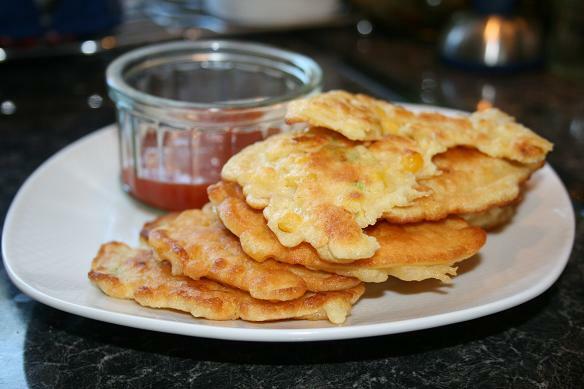 I made sweetcorn fritters quite a few years back when I was only just getting into cooking and they didn’t go very well at all. This time I used a recipe from GFM website. Thankfully this time they were delicious. I served them with a sweet-chilli dip. The only thing I would change would be to add more sweetcorn, maybe a pinch of chilli and to use less oil. The original recipe calls for 4 tbsp of sunflower oil which I think is far too much, especially if you have a decent non-stick saute pan. 1) Whisk egg, milk and butter together then whisk in flour. 2) Add sweetcorn and spring onions to egg mix. Rest for a few min. 3) Add oil to pan and heat to high/med. Blob tablespoons of the mixture into the pan. Cook for about 2 min, both sides until golden. Place on kitchen paper to drain. Today it is a stunningly beautiful day here. It makes me want to drink Pimms and have a BBQ! 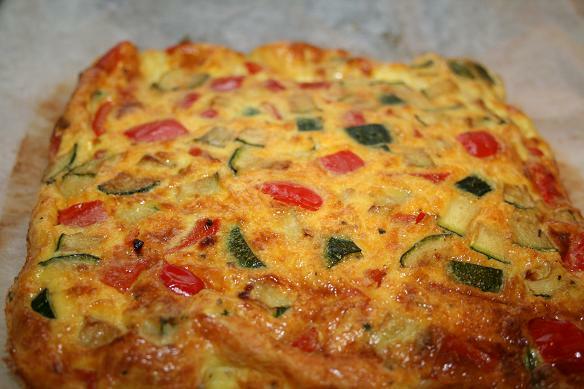 I’ve always wanted to cook a frittata, but for some obscure reason, never have. This months GFM inspired me with thier oven-baked frittata. By god, does gruyere cheese smell of sweaty socks! I really really enjoyed it and hubbie has taken the left overs for his lunch today. 1) Heat oven to 220oc . Heat oil in a pan and cook courgette and peppers until just softened. Allow to cool. Blend the cornflower with a bit of milk, then add the rest of the milk, eggs, cream. Season with salt and pepper. Whisk until smooth. Mix in grated cheese. 2) line 8in x 8in baking tin with baking parchment. Pour in the batter, then sprinkle the cooked veg over the batter. Bake for 20 min until firm and golden. Can be eaten warm or cold. On a different domestic front, yesterday I decided to try and teach myself to crochet. Hmmm, well considering it is meant to be easier than knitting, I dread to think how hard knitting is! While I was sorting out the kitchen yesterday I came across a cookbook I haven’t used in ages; 30-minute Indian – Sunil Vijayakar and with this weeks ingredient challenge being chillis I knew it had to be something Indian. 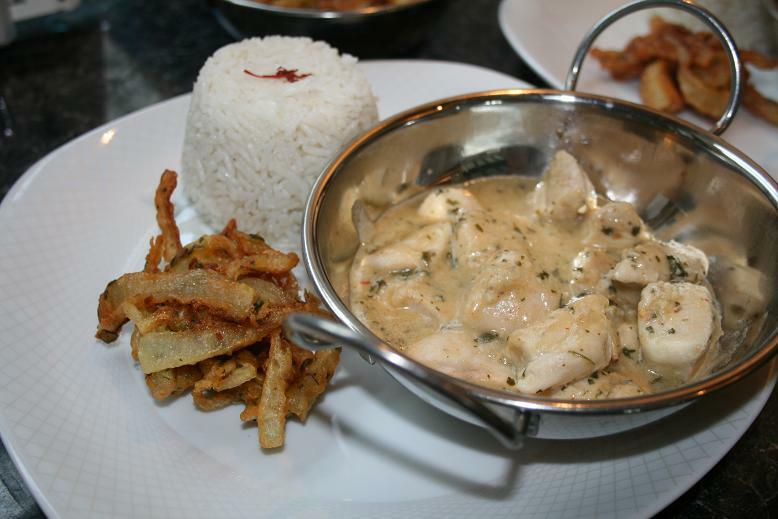 I was really pleased how both the bhaji & curry worked out. Even though the curry was meant to be coconut curry it certainly had a strong chilli & garlic kick! 1) Mix all ingredients together (apart from the frying oil). Rest for 10 min. 2) Heat oil to 180oc-190oc or until a cube of bread browns in 30 sec. Drop spoonfuls of mix into oil. Fry for 1-2 min until brown. 1) Dry fry almonds and coconut until light brown. Transfer to mixing bowl. Add coconut cream, coriander, chilli powder, garlic, ginger and salt. Mix well. 2) Fry chicken and cardamom. 3) Stir in coconut mix and chilli flakes. Cover & cook gently for 10-12 min. Add fresh coriander, stir and serve. Nearly every week we cook a “double dinner”. A meal that will stretch over two nights to 1) save time 2) be more economical. This weeks double meal has been Multi Mince. I daren’t call it bolognaise as it is nothing like traditional bolognaise! My multi mince is different every time I make it depending as to what is in the house and what needs to be eaten. I also keep the veg chunky in it. We usually eat it with pasta one night, then the next night turned into something else with the addition of another ingredient. Be it kidney beans or mash to make a kind of shepherds pie. I also use the same mince recipe to make lasagna. 1) Soften the onions and garlic on a medium heat with a bit of oil. Add mince and bacon. 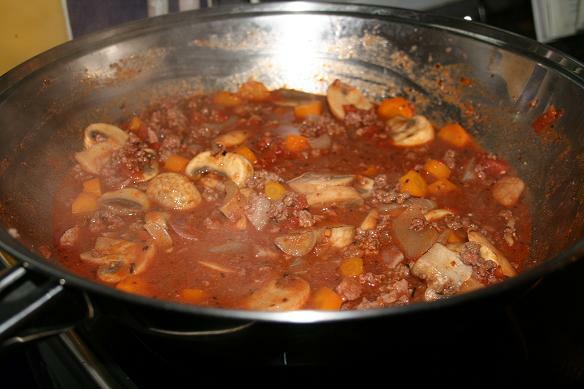 Cook until mince is browned. Pour in wine and simmer until wine has reduced by half. 2) Add all the veg (but the chopped toms) and cook for 2 min. Add the chopped toms, balsamic, Worcestershire sauce, herbs and crumble in oxo cube. It is has thickened too much add a splash of water. Simmer for 50 min. Yesterday hubby took me out for my belated birthday meal. We went to a fantastic pub/restaurant that is staggering distance from the house. 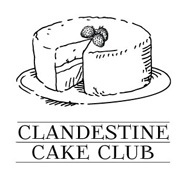 It’s not the cheapest place, but the food is superb and we save it for special occasions. I did enjoy my choice, but wish I had chosen the vegetable wellington as my main. Both the risotto and tortellini were quite heavy and creamy. I had a taste of the quail and was surprised. I was expecting more of a gamey taste, but to me it tasted of strong chicken. Ginger from Dinner Diary tagged me with this questionnaire. Berlin – Lived there for 3 years as I was growing up and saw the wall fall down. Although I was young at the time I still vividly remember the food. I especially miss the breakfasts that go on for hours and the Christmas Markets, nothing in this country compares. Hull – The haunt of my student days and the only place you can get chip spice. Not exactly the cosmopolitan gastronomic capital of the UK, but they do have the best Veggie restaurant. If your ever in Hull you have to visit Hitchcocks. Be warned you will have to book. Derbyshire (not being any more specific than that ;) ) – My home now. Full of fantastic pubs, curry houses and local produce. North Liverpool – Where I’m “from”. Although the village I used to live in has a tonne of places to eat my family are yet to find one that isn’t 1)awful 2) overpriced. Peebles – 1st half of our honeymoon was spent in Barns Tower. Lovely scenery. Isle of Harris – Spent the 2nd half of our honeymoon on this breathtaking island. We stayed at the fab Blue Reef Cottages. If you ever go to the island Skoon Art Cafe is well worth a visit. Prague – Went about 9 years ago, before it is as popular as it is now. Food wise, all I can remember was that nearly every dish contained pork! Amsterdam – Visited a few years ago to celebrate my parents wedding anniversary. Really enjoyed all the different cuisines on offer and would love to go back soon. Raspberries – my all time favourite food. I adore them. Just a shame they are not in season for long. Potato – I love them no matter what form they are in. Chips, crisps, mash, gratin…yum! Lebkuchenherzen – Usually only available in Aldi/Lidl in the run up to Christmas so I stock up. Bread – Nothing beats the smell and taste of a freshly baked loaf of bread. Sitting in a beer garden on a sunny day with a large glass of rose. Walking the Peak District/Lake District. Bow down to all that is rich chocolaty goodness. 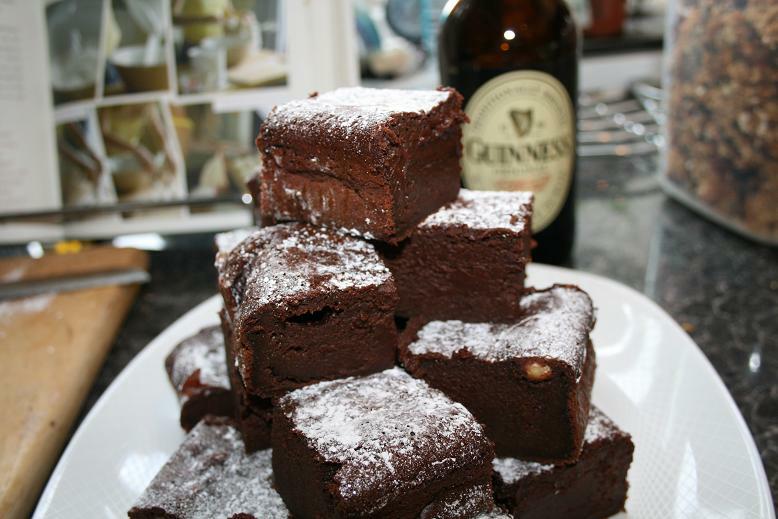 I came across this recipe for Guinness Brownies a few months back, but this is the first opportunity I’ve had to try it out. They have a slightly different texture and taste to normal brownies, but by god do they taste good! The only recipe I can find uses US measurements. I converted as much as I could and the recipe I’ve posted here is the metric version I worked out while making them. I ended up using quite a different assortment of chocolate as I didn’t have enough of one kind. The original recipe says to put 3/4 cup of cocoa which is far too much (is cocoa different in the US compared to here?) Next time I may add a bit more flour to give a drier texture. 1) Preheat oven to 190oc and line 8 inch square baking pan with baking parchment. 2) Combine eggs and sugar. On a medium heat melt chocolate and butter until smooth. Allow to cool for about 3 mins. 3) Beat chocolate mix into egg mix. Sift in flour and cocoa. Beat until well combined. 4) Whisk in Guinness, then pour into pan. Bake for 25 min until a skewer comes out just abour clean. It will continue to cook slightly after being taken out of oven. 5) Cool on rack, then dust in icing sugar and cut into 16 squares. I love my breakfasts, especially granola, but I often find the shop brought versions too sweet and expensive so I decided to make my own as inspired by a recipe in this months GFM. Ok, it’s not the lowest in calorie cereal, but it’s jam packed with good stuff and certainly keeps me filled up till lunch. It is meant to have dried apricots in it, but when I got the packet out of the cupboard I noticed they were past their sell by date and had begun to ferment! The recipe is really flexible and you can literally put what ever you want in it. This time I’ve put in mixed fruit and dates. Next time I may try dried cranberries. Makes about 1kg and will fill a 4 litre container. 1) Preheat oven to 170oc (fan). Heat oil, honey, vanilla extract and malt extract in a large pan until malt extract has turned runny and combined with the oil, honey and vanilla. 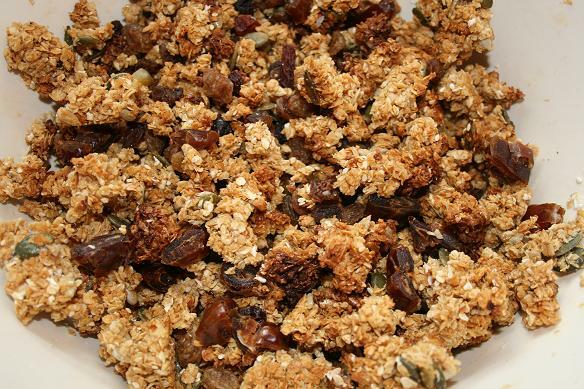 Take off the heat and add all the ingredients apart from the dried fruit. Stir until evenly covered. 2) Tip mix into the largest baking tin you can find. Spread out in an even layer and bake for around 25 min. Stir occasionally until the mix is golden. Leave to cool then separate the mix into chunks and stir in the fruit. Store in an airtight container for up to a month. Even hubby love this, though rather than eating it like a cereal he has just been eating handfuls of it! This was the first time I’ve baked in our new oven and it did catch me out as it is far more efficient than our old cooker!